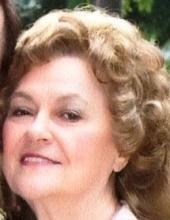 Rebecca Ruth Rose, 78, of Fayetteville passed away on October 10, 2018. She was born on April 29, 1940 to Ruth and James Theodore Roberts in Anniston, AL. Rebecca was a homemaker, a devoted mother, caring wife, and grandmother. She will be loved and missed by all who knew her. Rebecca was preceded in death by her husband of 54 years, James Daniel Rose; her parents; and her sister Barbara Ozell Hutter. She is survived by her son, Andrew (Cindy) Rose; her daughters Mary (Scott) Essex and Ruth Morrow; her grandchildren, Andrew, Arron and Alex; her great-grandchildren, Emily and Zoey; her nieces and cousins. A memorial service will be held on Saturday, October 20, 2018 at 4:00 PM at The Chapel of Mowell Funeral Home, Peachtree City with Pastor Jacob Sparks officiating. The family will receive friends at 3:00 PM, prior to the service. Expressions of sympathy may be made in the form of donations to the Salvation Army in Rebecca’s memory. To send flowers or a remembrance gift to the family of Rebecca Ruth Rose, please visit our Tribute Store. "Email Address" would like to share the life celebration of Rebecca Ruth Rose. Click on the "link" to go to share a favorite memory or leave a condolence message for the family.